While pondering the question, another bottle of wine was ordered and the idea of a bed and breakfast on their land in Pine County was suggested. The B&B has worked out very well, giving John & Sandra something interesting to do while keeping them out of Stacy’s hair as she runs the company. After opening in 2004, John & Sandra discovered three pleasant surprises. 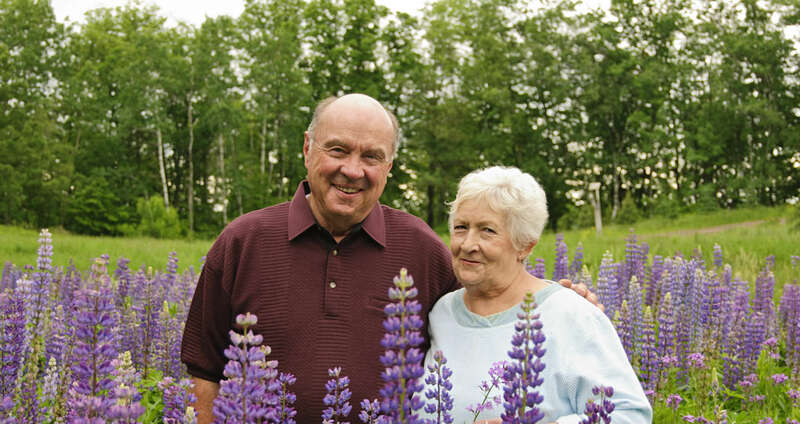 One is the answer to the question, “Will anyone come to our B&B?” The answer is “Yes, they will come!” Since opening in 2004, over 2,000 couples have been guests at Woodland Trails Bed and Breakfast. The most gratifying surprise has been that many of the 2,000 couples have come back, some as many as a dozen times! Finally, the third surprise is that, while there is a “do not invite back” list, there is no one on it! It seems that only nice people come to B&Bs like Woodland Trails Bed and Breakfast; all the riff-raff must go elsewhere. 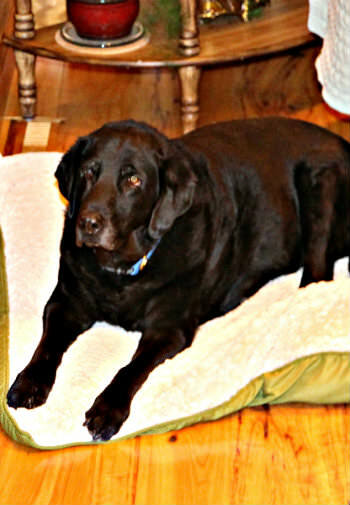 A black lab crossed with who-knows-what, Lucky may be an ideal bed and breakfast dog. He adds to the rustic ambiance in Woodland Trails Bed and Breakfast’s rural setting yet is very mellow. He welcomes a scratch behind the ear from guests who like dogs and is willing to “go away” for those who do not. Consumer of dog food only, there is never any begging for people food. John, Sandra and Lucky welcome you to Woodland Trails Bed and Breakfast!